Boston Urban Hospitality partners Brian Piccini and Chris Coombs divide and conquer the work that goes into running one of Boston’s most successful restaurant groups. Their mutual appreciation of each other's work ethic and passion for restaurants is what sparked the successful partnership. Both Brian and Chris began their careers in hospitality during their teenaged years, rising through the ranks, collectively holding just about every job in the front and back of the house respectively. Fostering a trusting and communicative culture in the workplace is critical to our partners, who place value in vigorous growth, both business and personal. When Piccini hired Coombs to run the kitchen at dbar in Dorcester, they knew together they could accomplish remarkable things. The two set their sights on fine dining, with the opening of Deuxave, a modern French jewel in Boston’s historic Back Bay. Next came Boston Chops, a critically acclaimed urban steakhouse in the South End. Assembling an incredible team, the partners have raised the profile of their restaurants through stellar service and forward-thinking food, garnering critical praise at the local and national level. Boston Urban Hospitality’s restaurants have been featured in countless publications, from Food & Wine to Forbes and beyond. With Piccini and Coombs at the helm, Boston Urban Hospitality further expanded, with a second location of Boston Chops in Downtown Crossing opening in the spring of 2018, and look forward to additional concepts coming down the creative pipeline. Chef Adrienne earned her bachelor’s degree in culinary arts and culinary nutrition from Johnson & Wales in Providence, RI. Upon graduating, she secured a position working as a line cook at the critically acclaimed Arrows in Ogunquit Maine, then Radius in Boston. Within just one year on the line, she was promoted to Sous Chef where she worked alongside award-winning Chef Michael Schlow. In December of 2011, Chef Owner Chris Coombs recruited Chef Adrienne as Sous Chef for Deuxave. She is now managing the four kitchens of Boston Urban Hospitality as Executive Chef, developing menus and new dishes as well as training and mentoring the next generation of chefs at Deuxave, Boston Chops and dbar. Chef A, as her team calls her, was also finalist on Season 16 of Top Chef. Mitch Hayes is the reason this multi-restaurant group runs so smoothly. After Mitch worked with Washington DC’s Stir Food Group, he joined us in 2010 as a spirited and hands-on General Manager, who has been instrumental in growing our business in every position he held. His experience working cross-functionally means he can press pause on overseeing our management teams in order to host, expedite, serve or bartend. He can even talk wine pairings with our guests as a Certified Sommelier by the Court of Master Sommeliers. 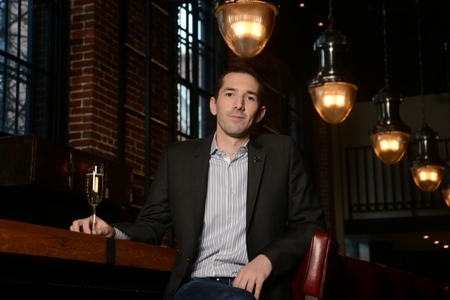 Nick Daddona is behind Boston Urban Hospitality’s wine and cocktail menus. 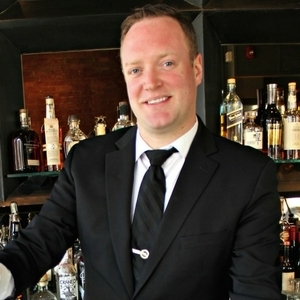 He has over a decade of experience in the Boston beverage scene, including management of beverage programs at Legal Seafoods and the Boston Harbor Hotel. He is currently pursuing the Master Sommeliers diploma through the Court of Master Sommeliers, Americas; Nick always seeks to improve his knowledge as well as the knowledge of team members. You'll find Nick sourcing the best wine for our restaurants, working on the exciting new cocktail, and educating staff. 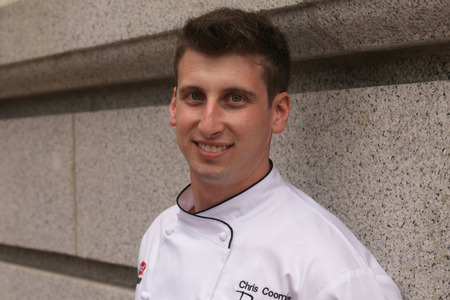 Nick believes in the power of service and hospitality to better serve our guests day to day in all of our restaurants.